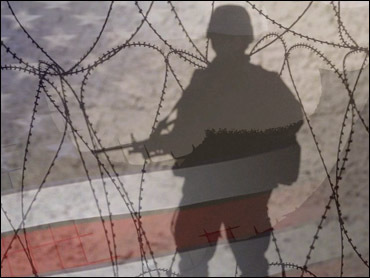 Records show roughly 40,000 troops have been diagnosed with the illness, also known as PTSD, since 2003. Officials believe that many more are likely keeping their illness a secret. Defense officials had not previously disclosed the number of PTSD cases from Iraq and Afghanistan. Army statistics showed there were nearly 14,000 newly diagnosed cases across the services in 2007 compared with more than 9,500 new cases the previous year and 1,632 in 2003. Schoomaker attributed the big rise over the years partly to the fact that officials started an electronic record system in 2004 that captures more information, and to the fact that as time goes on the people keeping records are more knowledgeable about the illness. He also blamed increased exposure of troops to combat. Factors increasing troop exposure to combat in 2007 included President Bush's troop buildup and the fact that 2007 was the most violent year in both conflicts. More troops also were serving their second, third or fourth tours of duty - a factor mental health experts say dramatically increases stress. And in order to supply enough forces for the buildup, officials also extended tour lengths to 15 months from 12, another factor that caused extra emotional strain. Officials have been encouraging troops to get help even if it means they go to civilian therapists and don't report it to the military. "We're trying very hard to encourage soldiers and families to seek care and to not have them feel in any way, shape or form that we're looking over their shoulder or that we're invading their privacy," Schoomaker told a group of defense writers. Noting that stigma is a problem in American civilian society, not just the military, he said, "I think that's the preferred way to do it." The accounting of diagnosed cases released Tuesday shows those hardest hit last year were Marines and Army personnel, the two ground forces bearing the brunt of combat in Iraq and Afghanistan. The Army reported more than 10,000 new cases last year, compared with more than 6,800 new cases the previous year. More than 28,000 soldiers altogether were diagnosed with the disorder over the last five years, the data showed. The Marine Corps had more than 2,100 new cases in 2007, compared with 1,366 in 2006. More than 5,000 Marines have been diagnosed with PTSD since 2003, the data showed. Navy officials who would have data on Marine health issues did not return a phone call seeking to confirm the numbers released by Schoomaker's office. Schoomaker said he believes PTSD is widely misunderstood by the press and the public - and that what is often just normal post-traumatic anxiety and stress is mistaken for full-blown PTSD. Experts say many troops have symptoms of stress, such as nightmares and flashbacks, and can get better with early treatment. The Pentagon had previously only given a percentage of troops believed affected by depression, anxiety, stress and so on - saying up to 20 percent return home with symptoms of mental health problems. A recent private study estimated that could mean up to 300,000 of those who've served have symptoms. The Veterans Affairs Department said recently it has seen some 120,000 Iraq and Afghanistan veterans who have received at least a preliminary mental health diagnosis, with PTSD being the most common diagnosis at nearly 60,000. An undisclosed number of troops also go to private care providers who are part of the huge military health care system. Schoomaker noted that National Guard and Reserve troops often go home to communities where there is not a veterans facility nearby. "We're working very hard with the VA and with the National Guard and Reserves to get a better feel for, a grasp on, how big this is," Schoomaker said, adding that over time officials will be able to collect data and get "a better feel for, handle on, the numbers."